The wildfire danger is LOW for the Lac La Biche forest area. We expect the hazard to remain between LOW to MODERATE through to next week, depending on weather conditions. Cooler temperatures and higher humidity is helping keep the wildfire danger at LOW to MODERATE. We had some widespread precipitation across the area and the forecast is for some additional local precipitation over the next couple of days. Temperatures are generally cooler and humidity levels are higher, reducing the threat from wildfire. This photo shows the rain trying to help put out the Rock Island Lake complex wildfires. There were no new wildfires today. Since March 1st, there have been 129 wildfires in the Lac La Biche Forest Area. 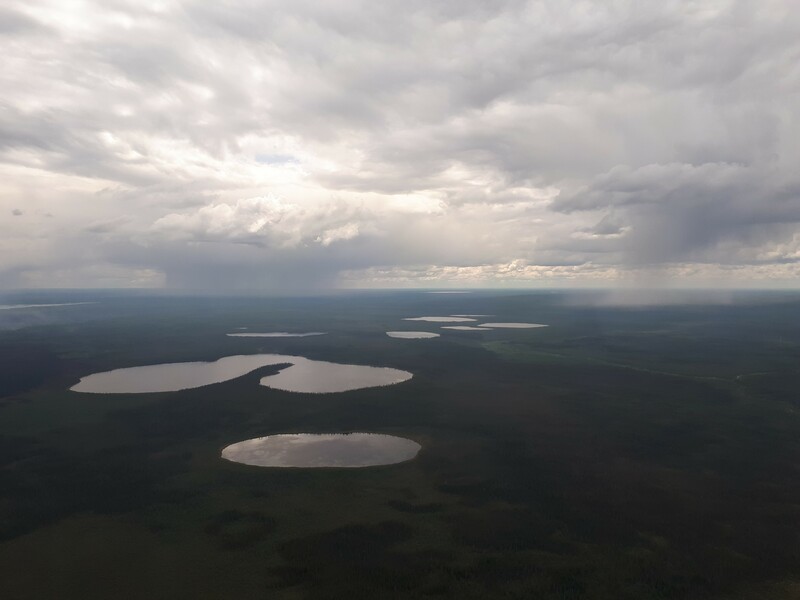 There are currently four active wildfires in the Lac La Biche Forest Area. All wildfires are under control. Rock Island Lake Complex (LWF-099 and LWF-119). Both of these wildfires are 100% contained, which means fire within 100 feet of the perimeter has been extinguished. Crews continue to mop up these fires, patrolling for elusive smoke and smouldering spots and edging further into the fire area. Despite the LOW danger right now, remember to always put your campfires out before leaving. Soak it, stir the ashes, soak it again! Unless conditions change, your next wildfire update will be on Thursday, June 21, 2018. Thanks for doing your part to prevent wildfire.